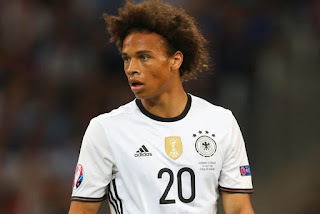 Leroy Sane of Manchester City and Germany has reacted to being dropped by the German national team for the World Cup. The winger scored 15 goals in all competitions last season making him one of the most pivotal players in Pep Guardiola’s system. He also laid on a healthy number of assists and was the second most creative player on the team apart from Belgian star Kevin DeBruyne. He played 12 games for Germany, however, he wasn’t as impressive for his country as he was in Manchester. Instead, Joachim Low opted to take Marco Reus, Julian Brandt and Julian Draxler ahead of him in his squad. He wrote: “Thank you so much everyone for your encouraging messages yesterday and today,” Sane wrote. “I’m obviously very disappointed I won’t participate in the World Cup, but I have to accept this decision and I’ll give it my all to bounce back stronger!